Last Login: 8 hours 23 minutes ago. let me Know I’ll go almost anywhere!!!! Thanks for the Add! Hope to see you out diving! HAPPY EASTER! HOPE EVEY ONE HAS A GOOD AND SAFE ONE!! HAVE GROOVIE HAPPY BIRTHDAY, AND A VERY MERRY HANGOVER SCUBA DUDE !!! Where is that at? I should have all my gear by then. Any place to fill tanks there or even rent tanks? I think however I may end up having my own tanks anyways. Happy Birthday...hope its a great one!!!! 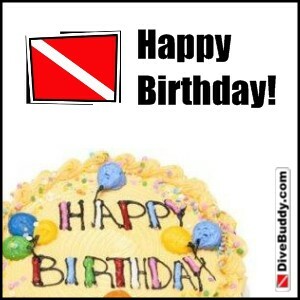 HAPPY BIRTH DAY SCUBA DUDE !! YOU GOT A CUTE MONKEY ! !1 !!! !! !